Gosh March is turning out to be a busy month! Following my slight disappointment with my Koguma-chan plush I decided to try the key-chain version. Alas despite a now stitched nose the eyes are not so even this little guy doesn't fit in with my other san-x characters. However more on him later. I also picked up one of the small lemon series notepads which is so cute. And I grabbed one of the summer series letter sets. 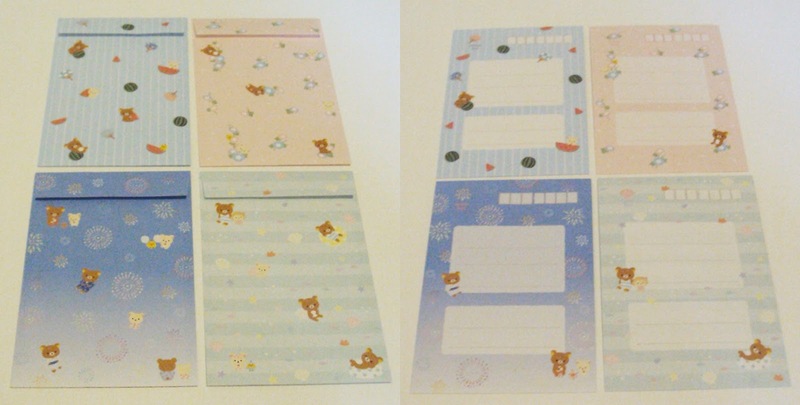 Also very cute, I especially like the Rilakkuma in a bathing suit! 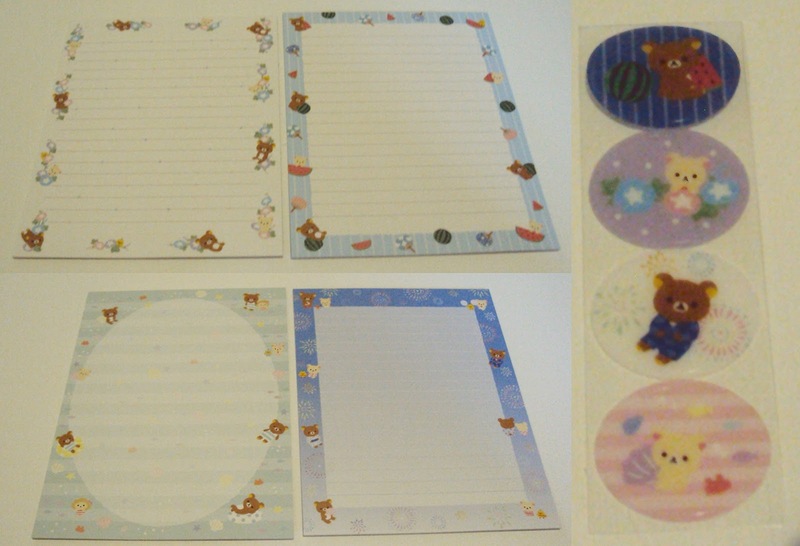 (I apologize for the fuzzy images) So the set came with four letter pads some stickers and four matching envelopes. Oh my what more will come before the end of this month!